✔ 2200mAh battery capacity. ✔ 20W max output. ✔ VV/VW mode. ✔ OLED screen. 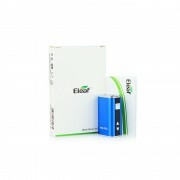 The Eleaf iStick has 2200mAh battery capacity and 20W max output. With a compact size, it is convenient to hold and carry. It comes with a OLED screen to show you the essential information. And Featuring adjustable voltage and supporting VV/VW mode, it will provide you with satisfying vaping experience. ➤ 1. With 2200mAh battery capacity and 20W max output. ➤ 3. Adopts an OLED screen. ➤ 4. Suuports VV/VW mode. &#10084 Please read the user manual carefully before using iStick 20W 2200mAh Battery Full Kit. 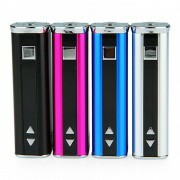 &#9851 3 months warranty period for iStick 20W battery.